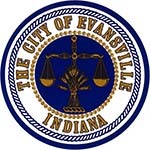 HOPE of Evansville (HOPE) has a limited amount of small business loan funds available for qualified residents in Evansville. HOPE has partnered with the Indiana Small Business Development Center (ISBDC) to assist start-up or existing small businesses with their financing and overall management needs. Business must be a legal entity such as Sole Proprietorship, LLC, etc. Apply at HOPE (applications available in office, online, email, or by phone). Once income and residency eligibility is verified, applicant is referred to ISBDC. ISBDC will assist applicant with preparing a Loan Application Package (LAP). The LAP is presented to the HOPE Loan Committee for consideration. If the LAP is approved, HOPE will set the loan interest rate, term, and fee structure.